Already comfortable working on your bicycle and wanting to learn more? 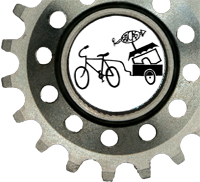 This class explores the construction and design of the bicycle wheel. Our experienced instructors will guide you through measuring hubs, rims and spokes and constructing a true bicycle wheel. Pre-registration is required for this hands-on class. Class size is small so instructors are able to give personal attention to students. Choose from our one-day or two-day class formats. Both classes cover the same material. Email Kristin at education@bicas.org for more information about this class and upcoming dates!